There is a worldwide emphasis and need to increase skills in additive manufacturing. One only need look around at the number of educational and for-profit ventures building out detailed degree programs and curricula to see it. 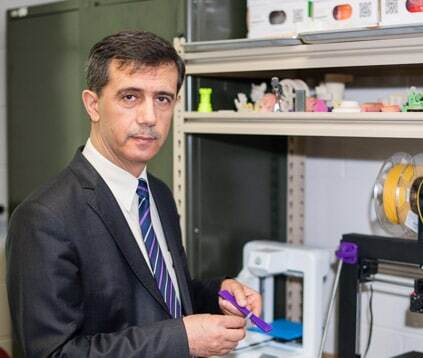 In the news last month, Wichita State University announced a new 3D Printing Technician Graduate Certificate program at WSU. It is exciting to see this higher level program in addition to the many we see in motion and developing at community college and 4-year college programs. AM News profiled the Somerset Community College Offers 3D Printing Technician Certificate in mid-2018. Thanks to Tennessee Tech University (TTU) College of Engineering with its Golden Eagle Additively Innovative Lecture Series, an online webinar event that reaches people around the world. We learned about the Somerset certificate program through the webinar. Wohlers Associates (publisher of the above-mentioned report), also a TEAMM member, created a unique Design for Additive Manufacturing (DfAM) course that has since been requested by other companies and organizations. Terry Wohlers writes about the Impact of DfAM here. Additive manufacturing is growing and its future looks bright. If you know of other degree programs and courses aimed at helping technicians, engineers, and other manufacturing specialists increase their skills, please get in touch so we can add them to our growing list and potential upcoming posts. More info on the Wichita State University 3D Printing Technician Graduate Certificate program. ABET is a nonprofit, ISO 9001 certified organization that accredits college and university programs in applied and natural science, computing, engineering and engineering technology. Cranfield University in Bedford, UK, has just received official approval to launch a new Master’s Degree in Metal Additive Manufacturing. Now accepting applications for October 2019 intake, this MSc will give students direct access to the university’s state-of-the-art Wire + Arc Additive Manufacturing (WAAM) systems, and the chance to work on projects for the WAAMMat consortium of 20 industrial partners. SME: The Additive Manufacturing Technician Certification is ideal for a candidate with a two-year associates degree in additive manufacturing or currently enrolled in a college program, and/or has one or more years of working experience in a manufacturing related field. The prep course covers key roles and responsibilities for an AM technician, the AM process chain, design for AM, material and process selection, secondary processes, and key safety considerations. The certification exam is a three-hour proctored, open-book and open-note exam consisting of 120 multiple choice questions.